It is with heavy hearts that we announce the passing of Giuseppina Lombardo, loving wife, mother, grandmother and great grandmother. 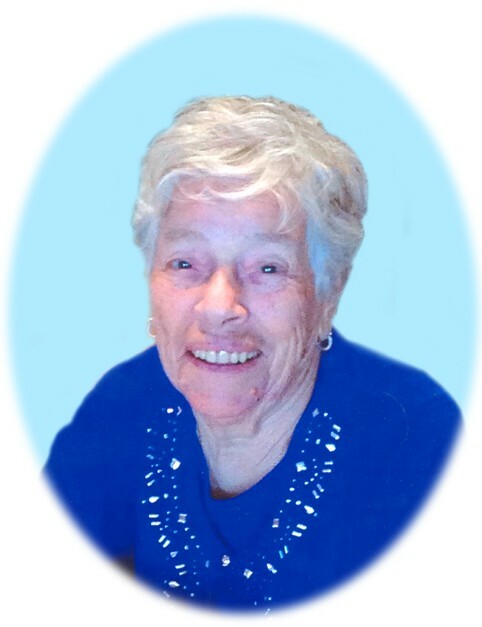 She passed away peacefully on April 6th, 2019 at the age of 93 with her family and loved ones by her side. Giuseppina was born on November 5th, 1925 in Siderno Marina Italy. She was the second oldest sibling of Michele and Maria Sgambelluri. Giuseppina had a happy childhood and upbringing, always spending time outside in the family garden. Her three brothers Giuseppe, Domenic, and Antonio always loved her and looked out for her as she was their only sister. Giuseppina married the love of her life Giuseppe Lombardo on April 10, 1946. Over the years they built a life and family together with their 10 beautiful children, 6 boys and 4 girls. Giuseppina lived a long and happy life, first starting in Italy and later expanding to Canada in 1954. Travelling by ship with her three children Rose, Vince and Mary, they arrived in Halifax and continued on by train to Fort William, where she was reunited with her husband, Giuseppe. Watching her children grow up and have families of their own filled her heart with both pride and joy. Giuseppina looked forward to Sundays where everyone gathered to eat, drink and reminisce about old times. She enjoyed making bread, gardening and the endless coffee making. She also loved the Italian music and enjoyed talking about old times. Giuseppina is survived by her husband Giuseppe, son-in-law Giuseppe Bruzzese, her children Vince (Rosa), Mary (Enzo), Mike (Maria), Tony, Silvanna (Mike), Cosimo, Sam, Joanne (Domenico), Carlo (Graziella) along with 27 grandchildren and 29 great grandchildren. Predeceased by her parents Michele and Maria Sgambelluri, her brothers Giuseppe, Domenic, and Antonio and her oldest daughter Rosa Bruzzese. Giuseppina will be remembered for her smile, easy going attitude, witty one liners and her willingness to always put others before herself. She will be sadly missed by friends and family from Thunder Bay, Nanaimo, Calgary, Waterloo, Toronto and Italy. Forever and always in our hearts. Funeral services will be held on Thursday, April 11, 2019 when family and friends will gather for Funeral Mass at 10:00 a.m. at St. Dominic's Church celebrated by Rev. Mike Mahoney. Interment will follow immediately following Mass in St. Andrew's Cemetery, 690 Oliver Road. Visitation will be held on Wednesday, April 10, 2019 from 5-7:00 p.m. in the Blake Funeral Chapel, with prayers offered at 7:00 p.m. If friends desire, memorials to the Canadian Diabetes Association would be appreciated. Giuseppina Lombardo will be remembered in the Blake Funeral Chapel Memorial Grove. Annual dedication service Sunday, June 14, 2020.